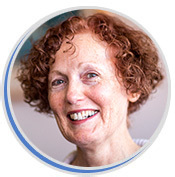 Patsy is a Senior Research Fellow and joined CHERE in 1990. She worked as a registered nurse before completing the BA in Government and Political Economy at The University of Sydney. Patsy was awarded her Master of Public Health from The University of Sydney in 1998, her treatise investigated patient participation in treatment decisions for breast cancer. Her early research experience comprised the economic evaluation of health care programs involving innovative nursing and midwifery roles as well as the economic evaluation of cancer treatments. More recent research has included health related quality of life (HRQOL) in asthma and lung cancer, preferences of patients and informal carers, nurses’ job preferences and the HRQOL of informal carers. She has experience in the conduct of longitudinal studies and the analysis of repeated measures data, including HRQOL and cost data. She is currently a member of the NSW Population and Health Services Research Ethics Committee. To answer questions on the essential components (services, operations and resources) of a person-centered aged care home (iHome) using computer simulation.iHome was developed with AnyLogic software using extant study data obtained from 60 Australian aged care homes, 900+ clients and 700+ aged care staff. Bayesian analysis of simulated trial data will determine the influence of different iHome characteristics on care service quality and client outcomes. Interim results: A person-centered aged care home (socio-cultural context) and care/lifestyle services (interactional environment) can produce positive outcomes for aged care clients (subjective experiences) in the simulated environment.Further testing will define essential characteristics of a person-centered care home.